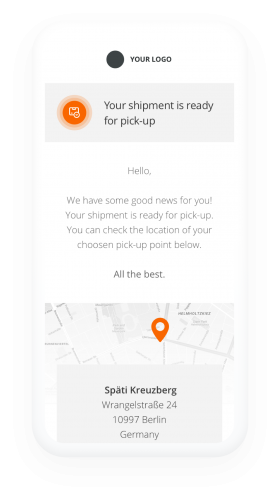 Use fully automated notifications to inform your customers about the status of deliveries – and reduce customers support inquiries by > 25%. Define the messages your customers will receive and the events triggering them. Have total control over what is sent to whom and when. 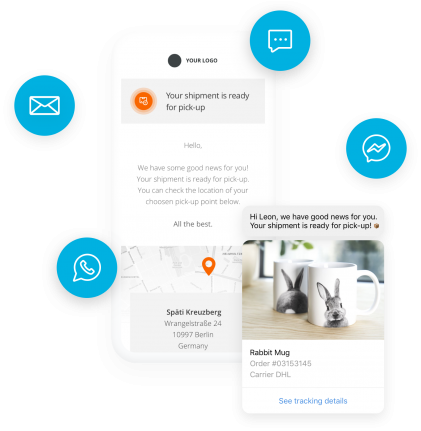 "SENDWISE transforms every delivery update into a potential customer touchpoint. We use notifications to engage with our customers proactively, significantly decreasing our customer service inquiries." 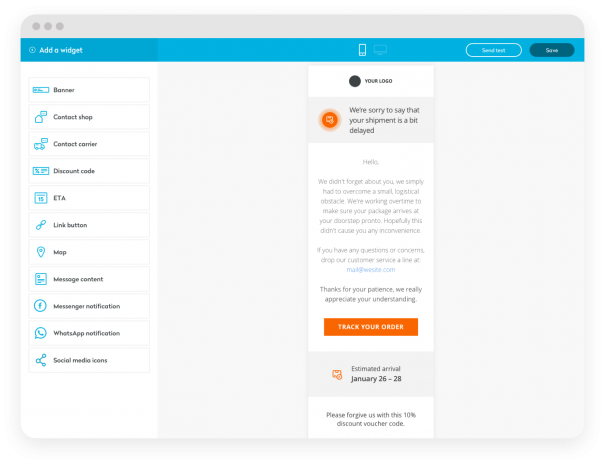 Use our powerful and easy-to-use editor to create email templates that follow your CI guidelines. Just drag, drop, done. It has never been easier. In just a few clicks, create beautiful, eye-catching tracking pages that are consistent with the look and feel of your website (no need for a developer). You can create multiple variants of the same notification, which will be sent only under the circumstance of certain tracking events. 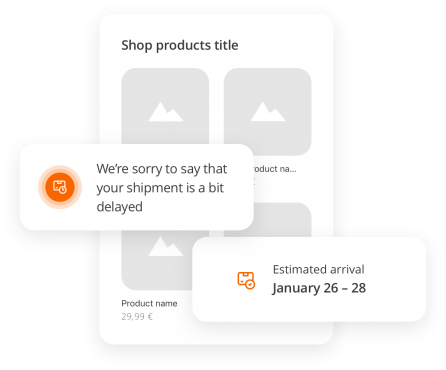 Manage the communication across all of your shop's brands as well as in each language. You want go completely custom? This is possible with our powerful HTLM editor. 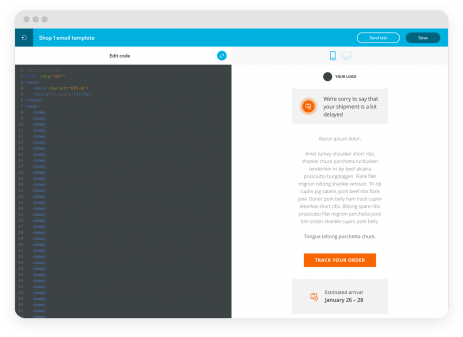 Copy & paste your HTML code, instant preview, ready.